Sands is a wonderful organisation offering comfort and support to those who have sadly lost their baby at birth or before. I have started making them as I want to help people who have lost their baby. I lost mine in 1976 at 24 weeks , he sadly died in the womb and nothing like this existed then. 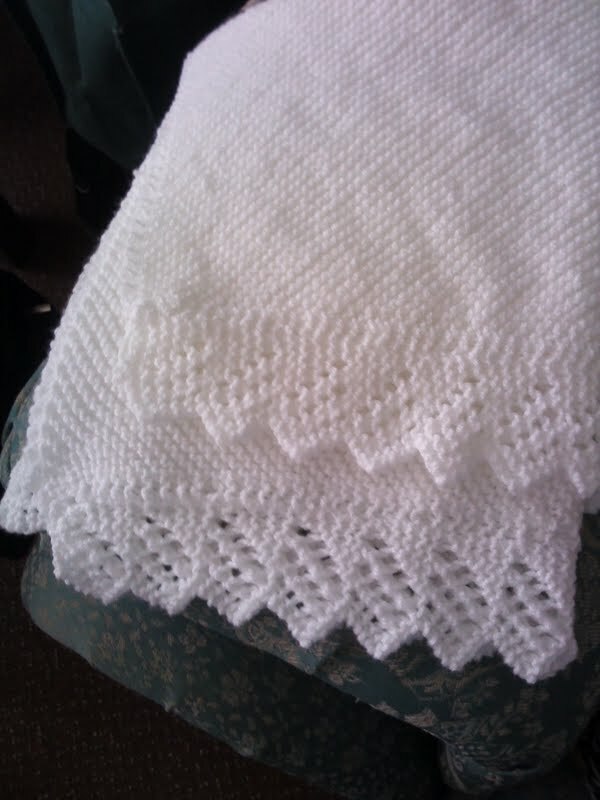 Thankfully things are different today and if I can bring a little comfort by making a blanket it is worth the time and effort as I know all to well how it feels to lose a child like this. More will be made and sent off to them so they can use them in their Memory boxes. What a lovely blanket. Beautifully made. And you are right - it will give huge comfort to a family at a time of sadness.